Last night we were invited to opening night of Dr. Suess’ How The Grinch Stole Christmas! The Musical in Chicago. The show is running now until November 25th at the Chicago Theatre on State Street. In our family the kids range from ages 4 to 11 so it is getting increasingly difficult to find activities for the entire family that everyone enjoys. 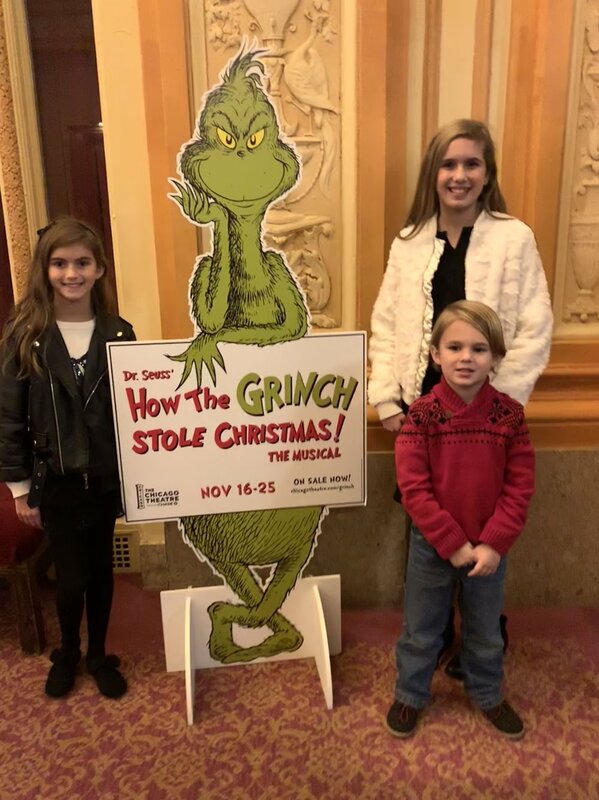 After seeing the Grinch live and in person, we put together this list of 5 things you need to know before you see Dr. Suess’ How The Grinch Stole Christmas The Musical! 1. Dr. Suess’ How The Grinch Stole Christmas! The Musical is great for all ages. It really is. It’s fun for the preschoolers but there is humor for the grown ups, too. Our entire family loved it! The show is about 90 minutes with no intermission. It goes fast and no one in our group was restless, but if you have younger people in your group, make sure you hit the potties first. 3. The Grinch is funny, not scary. Our four year old was a little nervous because the Grinch looked scary. He had a similar concern when we saw The Wizard of Oz over the summer. As soon as the show started, he was completely captivated. Not once did he mention the Grinch being scary again. 4. Because the Grinch is a shorter show, plan some other holiday activities in the city. Go see the Millennium Park tree, look at the windows at Macy’s or go ice skating. There is so much to do during the holidays in the city, you can definitely double up on your day to see the Grinch! 5. You will leave the theater with more Christmas spirit than Cindy Lou Who! It’s true. The Grinch’s heart will grow three sizes and then you walk out to Chicago decorated in lights. It’s magical. For tickets and and more information, CLICK HERE. 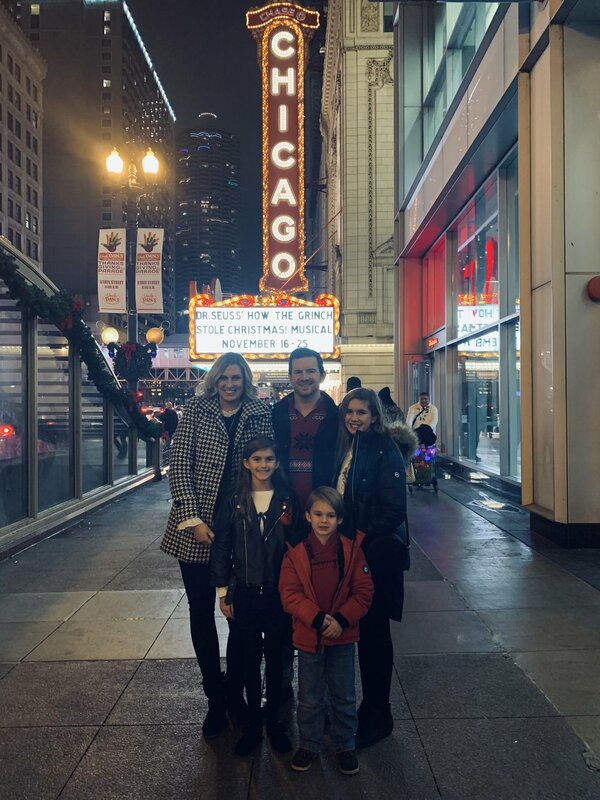 Thanks to the Chicago Theatre and Dr. Seuss’ How the Grinch Stole Christmas! The Musical for having us. It was the best way to jump start the Christmas season!